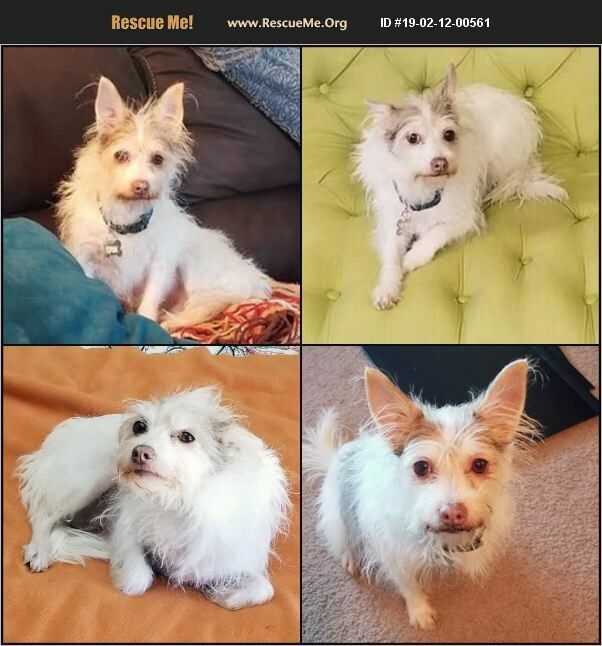 Braun is a 2 1/2 year old male Cairn Terrier mix. He weighs about 14lbs and is full grown. Braun is a very handsome boy, but not the most photogenic, so you have to come meet Braun in person to see his full beauty! Braun was found as a stray and is now looking for his forever home. Braun is a nervous and shy boy that needs lots of patience and time to warm up. Braun strongly prefers women over men and children are not recommended. Braun does great with small dogs and cats, but isn't overly interactive and would be happy to be the only dog and center of attention. Braun does not like being picked up, but enjoys scratches under his chin and behind his ears once he warms up. Braun also enjoys lots of toys! Braun is mostly housebroken and crate trained. Braun enjoys lounging around in a bed and will bring his people's belongings to bed with him, but not chew on them. He is leash trained but is still getting used to having the leash put on him. Braun may never be super cuddly, but does enjoy affection from trusted members of his family. Braun is a sweet boy once he opens up, and needs the perfect home who will give him love, patience and understanding as he learns to trust. Braun will likely need to meet his new family more than once before he is comfortable enough to go home with them. His adoption fee is $220 . He is neutered, up to date on vaccines, microchipped, licensed, and vet checked. His adoption comes with 30 days of free pet insurance and a free vet visit. To meet him please contact his foster moms Angela & Kim at (707) 508-5454.